Not content to let those cagers over at the Lamborghini Museum have all the fun, the people at the Ducati Museum in Bologna, Italy have decided to get in on the Google Street View tourism game. 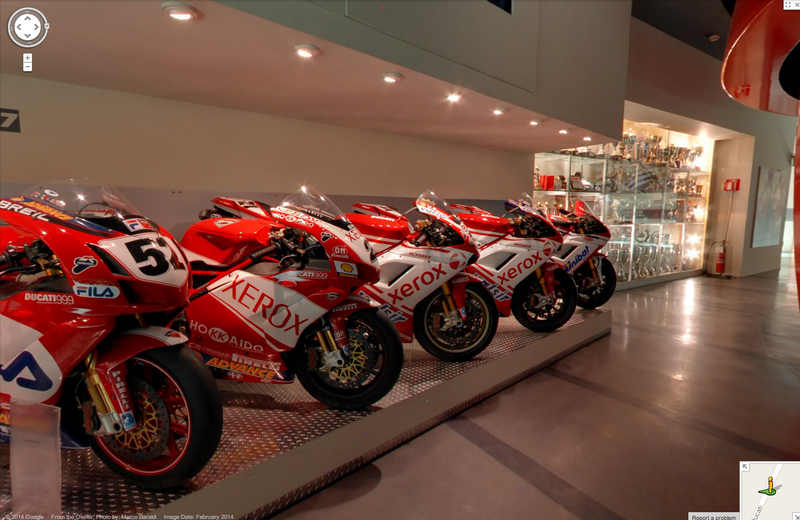 Mark over at Google Street View World points out to Jalopnik that the museum dedicated to the legendary Italian motorcycle company can now be viewed from the comfort of your computer and/or smartphone. You can take the tour by clicking this link. It's not huge, but there are a ton of amazing street bikes, racing bikes, engines and early motorized bicycles inside. Make sure you check out the side rooms too!